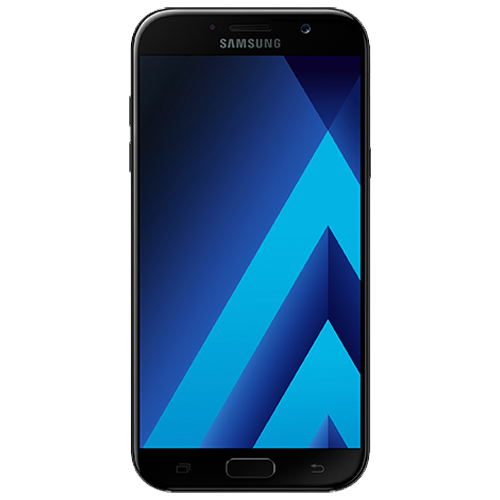 The Samsung Galaxy A5 (2017) was announced on January 2nd, 2017. It shipped running Android 6.0.1 Marshmallow on the Grace UX interface. Featuring the Mali-T830 GPU with 3GB RAM and 32 GB internal memory (expandable to 256 GB) via the MicroSD slot. The battery was not removable and rated at 3000mAh with fast charging capabilities. Like many new Samsung smartphone’s, the Galaxy A5 (2017) is IP68 rated for water resistance. The Galaxy A5 (2017) also featured a new “Always On” display that showed a clock and notifications on screen even in standby mode. If you have a Samsung Galaxy A5 (2017) that needs some attention then WeFix can help. We use genuine Samsung parts, so you’re always getting a like for like fix. We offer a same day service, or you can book in advance at your convenience.